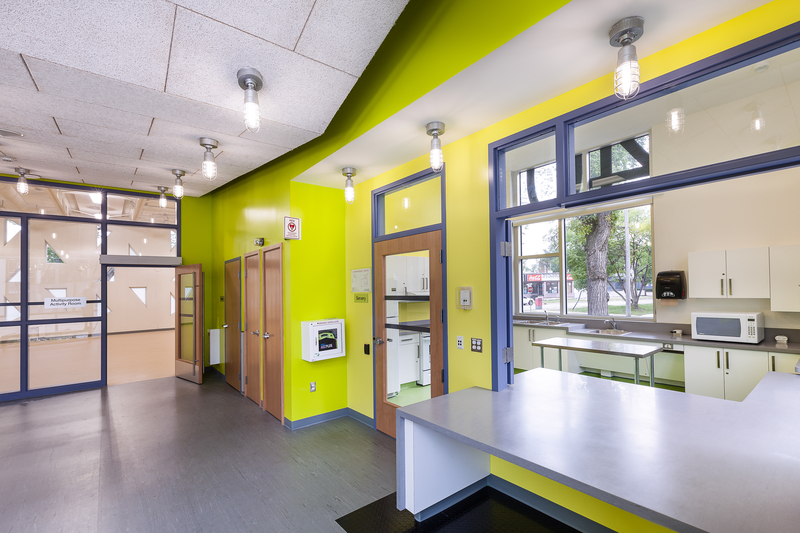 Integral to the design of the Centre was the creation of strong sight lines and visual connections. By linking outdoor activity with indoor observation, an inclusive and immersive environment is created for all members of the community. This was achieved through the careful placement of glazing and program layout. 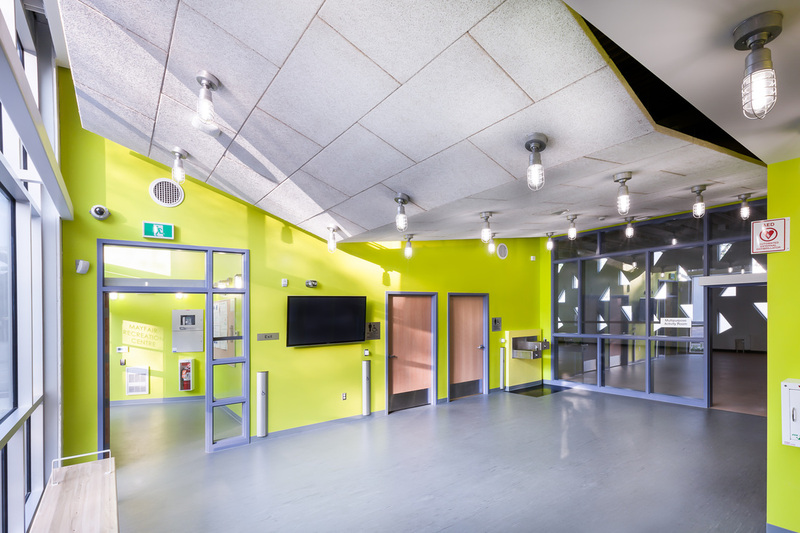 The gym, front entrance, servery, water fountains and washrooms are all easily visible from the central lobby area, while the glazed partition between the gym and main lobby allows activities to be visible to volunteers working in the servery, as well as community members passing by.